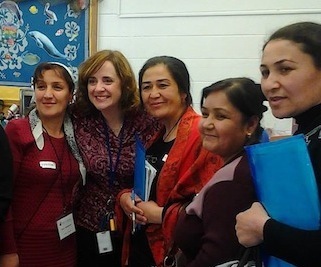 Ten Tajik primary grade reading specialists completed their three-week Community Connections program in southern Virginia, and returned home inspired and excited. They have finalized their “action plans” for innovations they wish to apply to their own educational programs in Tajikistan, based on the broad range of knowledge they gained during their program. 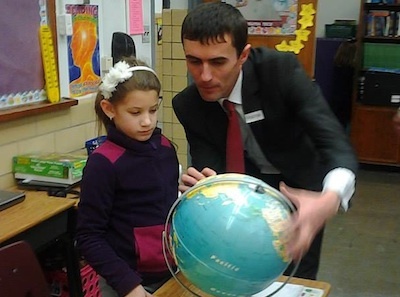 “Our main goal is to learn the U.S. experience in teaching reading,” said Mukhidi Ziyoev, an educator and freelance consultant for the Ministry of Education in Vardoz, Tajikistan. While in the U.S., the group met with professionals with the International Reading Association, Reading Is Fundamental, Save the Children, the Virginia Department of Education, Radford University, the Roanoke City Libraries, as well as teachers from the Roanoke County School System. In addition to the seminars, presentations, and informational meetings on reading and literacy, there was also time for fun and exploring U.S. culture. Legacy’s loyal host families embraced their new friends whole-heartedly and showed them our southern Virginia region with pride. A three-day visit to Washington, DC allowed time for museums, restaurants, and art galleries.